WASHINGTON (CNS) — Waves of eager chatter filled the Basilica of the National Shrine of the Immaculate Conception in Washington. Then a triumphant organ chord pierced the air and the procession began. 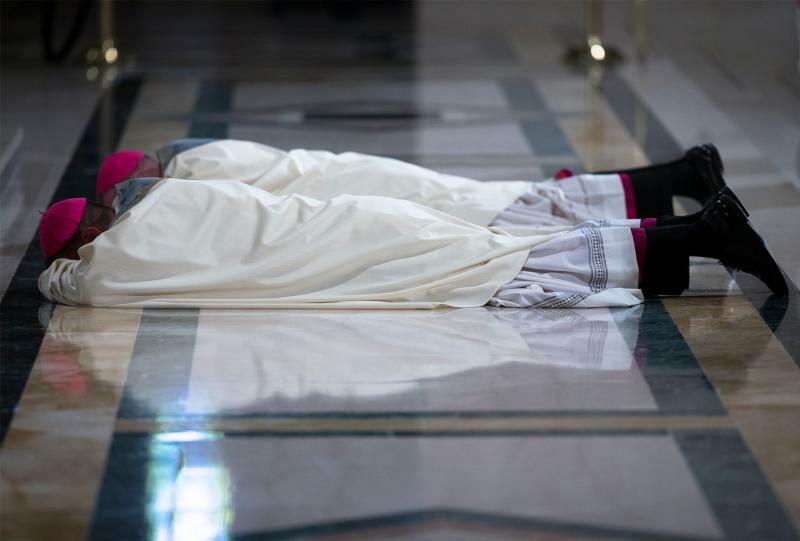 Knights of Columbus in neat sashes, priests and bishops in pristine white vestments, and three American cardinals paced prayerfully down the aisle and slowly ascended to the shrine’s magnificent sanctuary in the Great Upper Church. 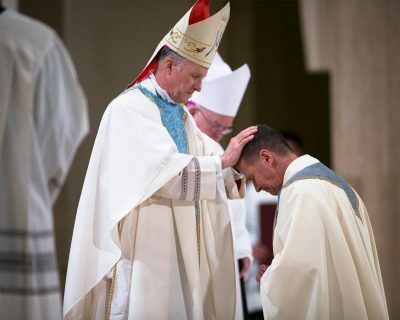 In their midst were Bishops-designate William J. Muhm and Joseph L. Coffey — two men who would walk out of the church the same day with brand new miters and crosiers, and new responsibilities to their flock that is the U.S. Archdiocese for the Military Services. And so began the afternoon Mass March 25 celebrating the episcopal ordinations of the two men who would soon officially be auxiliary bishops. The happy occasion fell on the feast of the Annunciation of the Lord. The celebrant was Archbishop Timothy P. Broglio, head of the military archdiocese, who delivered an impassioned homily asking Bishops-designate Coffey and Muhm to keep alive in their hearts and in their new mission the example of Mary the mother of God in receiving God’s will during the Annunciation. After the ordination ceremony and Communion, Bishops Muhm and Coffey stepped up to the ambo to thank those that had brought them to this point.